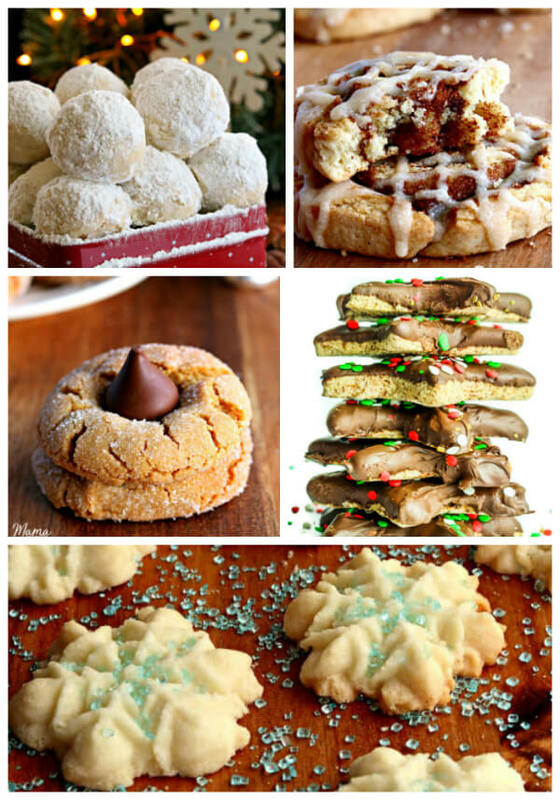 All your favorite Gluten-Fee Christmas Cookie Recipes. All of the holiday classics with everything you need for this Christmas baking season! 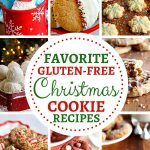 A collection of gluten-free Christmas cookie recipes from top gluten-free and food allergy bloggers. Originally published December 2017, updated December 2018. I love the classic movie the Sound of Music. 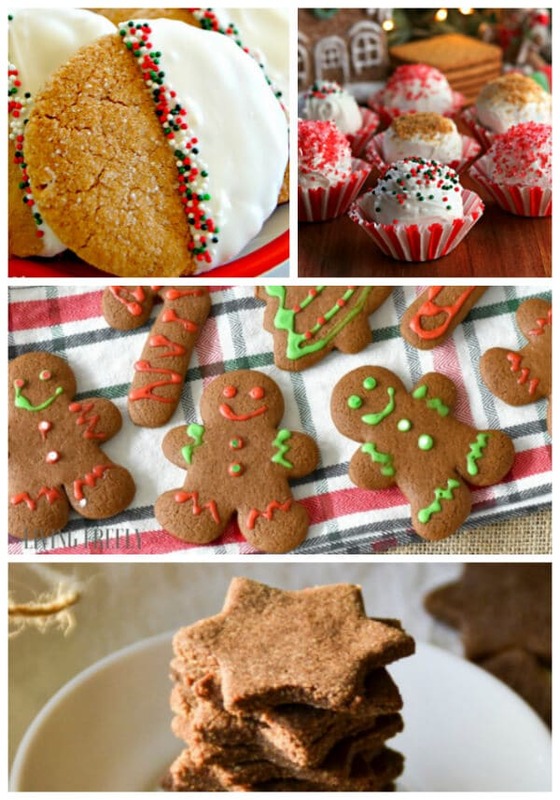 In the spirit of the song My Favorite Things, I wanted to share some of my favorite gluten-free Christmas cookie recipes from my gluten-free and food allergy blogger friends. Baking is one of my love languages and I especially love holiday baking. 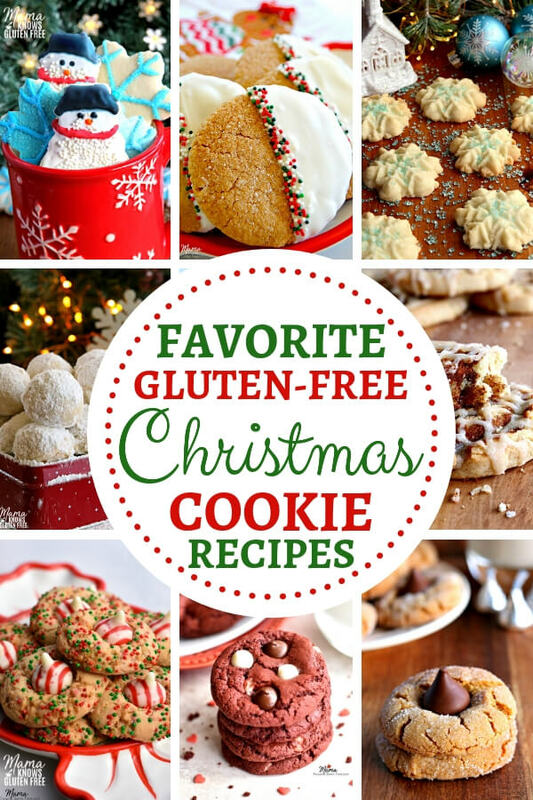 That’s why I’m so excited to share this amazing collection of gluten-free Christmas cookie recipes! With all of these different gluten-free cookie recipes, there will be something for everyone to enjoy. When baking gluten-free cookies use parchment paper to line your cookie sheets. I love the smells of holiday baking, especially that of gingerbread. There is nothing quite like the smell of gingerbread cookies baking in the oven. Gingerbread just smells like the holidays to me. It’s such a warm and cozy scent. Making sugar cookies is a holiday must! They are so fun to make because of all the different cut-out shapes and endless decorating possibilities. From topping them with icing to sprinkles, these gluten-free sugar cookies are sure to be a family favorite to make! Who does not love chocolate cookies?! Chocolate cookies are a holiday cookie tray must! 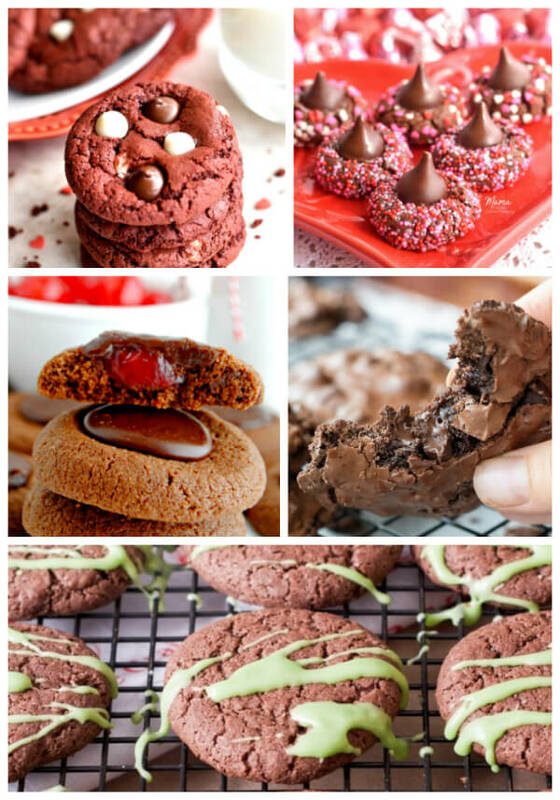 Check out all of these drool-worthy chocolate cookie recipes. There is nothing better than traditional Christmas cookies! Classic flavors are always a family favorite. It reminds us of family memories of Christmas past and helps us make new ones. 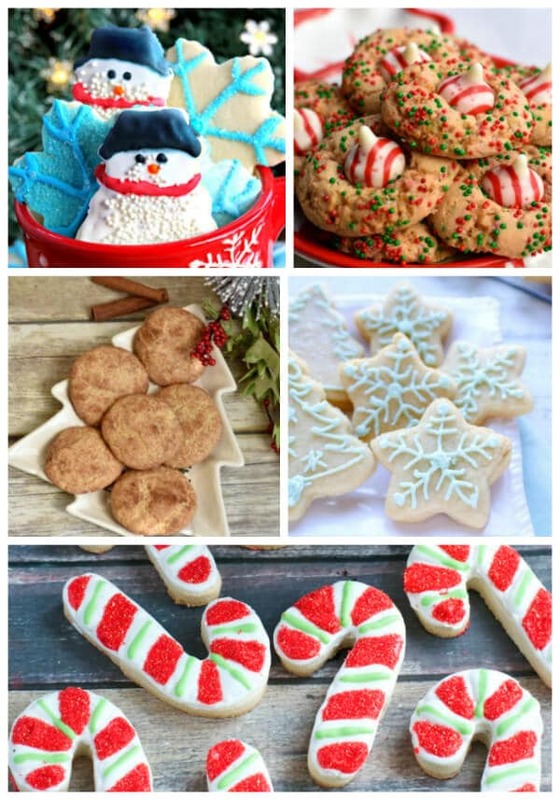 A big thank you to my gluten-free and food allergy blogger friends for allowing me to share their favorite gluten-free Christmas cookie recipes with you. This is an incredible gluten free cookie resource. Perfect for the holidays. Thank you so much for including my cookie recipes, sharing all around! We must be soul sisters because my love language is baking too (& a HUGE fan of the Sound of Music)! Great collection Audrey! Thank you so much for sharing my grain-free snickerdoodles! All these cookies are making me hungry. Wow, and to think, a decade ago I was scrounging the internet for gluten-free cookie ideas and found hardly a thing. Now look at this list!! I love the way you have grouped the recipes. There are so many good ideas, I don’t know where to start! After looking at this awesome list I’m feeling like the cookie monster…give me all the cookies! Such a great resource for gluten free cookies! Thanks for including my recipe, Audrey! Sharing all around! Thank you very much for the free recipes! I will be forever greatful to you for sharing your recipes with us. 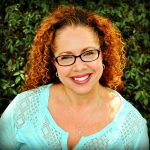 I love your blog along with your recipes and hearing wonderful tips, recipes and ideas other gf bloggers have. It brings a sense of “normalcy” to my life. God Bless you and thank you again. Thank you so much Sharron your kind and encouraging words! I can’t tell you how much it means to me. You are so welcome I love sharing what I make for my family. I hope by sharing my gluten-free journey I can help others with theirs. May God bless you as well friend. Thank you again, you have really blessed me!